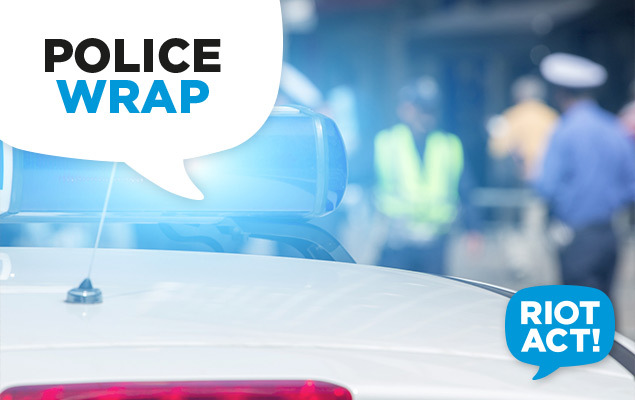 Did you witness an armed robbery in Calwell this morning? ACT Policing is seeking witnesses to an armed robbery which occurred in Calwell early this morning (Tuesday, 5 May). Around 1am two women entered the Woolworths Petrol service station at the Calwell Shopping Centre, where they threatened a console operator, one armed with a possible firearm and the other with a syringe. The console operator complied with their demands and the women left with a sum of cash, cigarettes, a number of prepaid mobile telephones and a promotional NSW `State of Origin’ T-shirt. The women also took approximately 15 magazines. The women left in a small silver car, possibly a Holden Barina or similar, with covered registration plates. The first offender is described as Caucasian, aged in her 20s, with shoulder length wavy brown hair. She was wearing sunglasses, short pink shorts and a black Adidas ‘hoodie’. She presented a possible firearm, which was partially hidden up her sleeve. The second offender is described as Caucasian, aged in her 20s, wearing long pants and a grey ‘hoodie’ and holding a syringe. Police request anyone who may have seen these women or has any information that may assist the investigation to contact Crime Stoppers on 1800 333 000, or via www.act.crimestoppers.com.au. Information can be provided anonymously.